Mr James Hancox - as he really, really, likes to be called - has created a show that is simultaneously everything it says on the tin and completely unexpected. 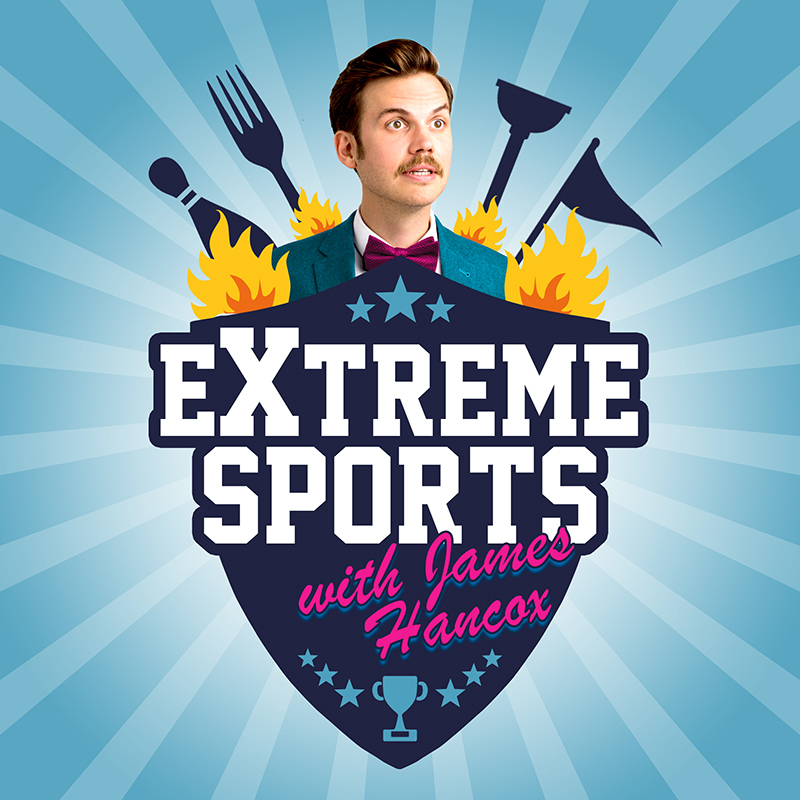 This is an interactive game show within which Hancox is on a quest to find the sporting champion inside everyone, even those most apathetic to ‘sportsball’. From the moment he enters the room the atmosphere is joyously manic, and the relentless pace he sets is maintained for the entire show. We are swept up in Hancox’s energy, and a charismatic delivery that is reminiscent of The Mighty Boosh’s Howard Moon. Hancox, though, is less patronising and much more agreeable. The show flits from game, to song, to us chanting in unison, and back again. Splitting the audience into teams, Hancox gets us competing in extreme versions of games we all grew up with. From Pass the Parcel to Pac-Man, we cheer each other on as our host searches for the ultimate champion amongst us. Meanwhile, Hancox’s lightning quick wit and astounding recall has us all laughing uproariously. Shows that rely heavily on audience interaction often leave themselves at the mercy of the crowd. We have rarely experienced Hancox’s level of showmanship and control of the rowdier moments. His masterful handling of a man who broke props, reacting aggressively to being asked to participate, was particularly impressive. Never once losing his cool, or the flow of the performance, Hancox handled everything with aplomb. EXTREME SPORTS with James Hancox had us leaving Laneway Palace ready and raring to start training to become champions worthy of our host.